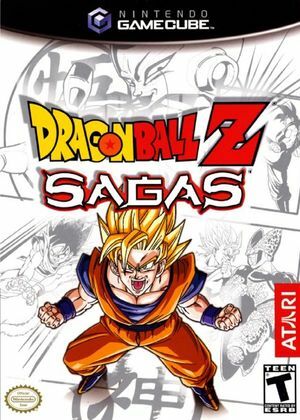 For the first time in Atari's Dragon Ball Z series, console gamers get to explore DBZ as they wish in Dragon Ball Z: Sagas an action-adventure title with RPG elements that spans the storylines from the Saiyan Saga through the Cell Games Saga. Players will journey from Earth to Namek and beyond in a 3-D action-adventure featuring melee, ranged attacks and destructible environments. Play as many of the greatest Z-Warriors, including Goku, Piccolo or even Gohan, complete with Super Saiyan forms. Battle through six different story arcs that pit you against infamous enemies, such as Nappa, Captain Ginyu, Raditz, Frieza, and Cell. Explore never-before-seen elements of the Dragon Ball Z series. The graph below charts the compatibility with Dragon Ball Z: Sagas since Dolphin's 2.0 release, listing revisions only where a compatibility change occurred. This page was last edited on 30 January 2018, at 09:23.